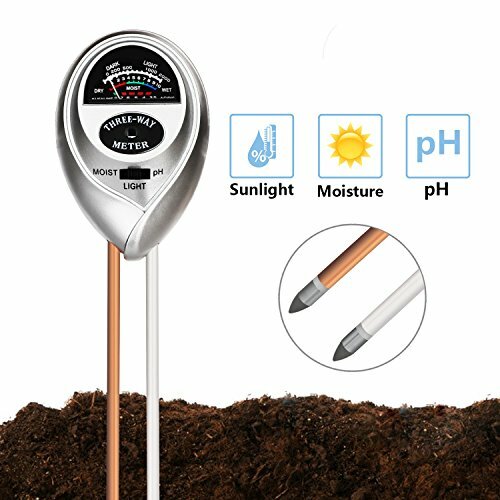 3-In-1 design, let you easy to track the Moisture/pH Value/Sunlight level for your plants, and keep it in a healthy condition. Super easy to read the necessary date to make sure the soil is healthy enough for your plants, and no more worry about killing the plants even if you have no experience of gardening. If you have any questions about this product by Jellas, contact us by completing and submitting the form below. If you are looking for a specif part number, please include it with your message.